Too much of a good thing, is a good thing! 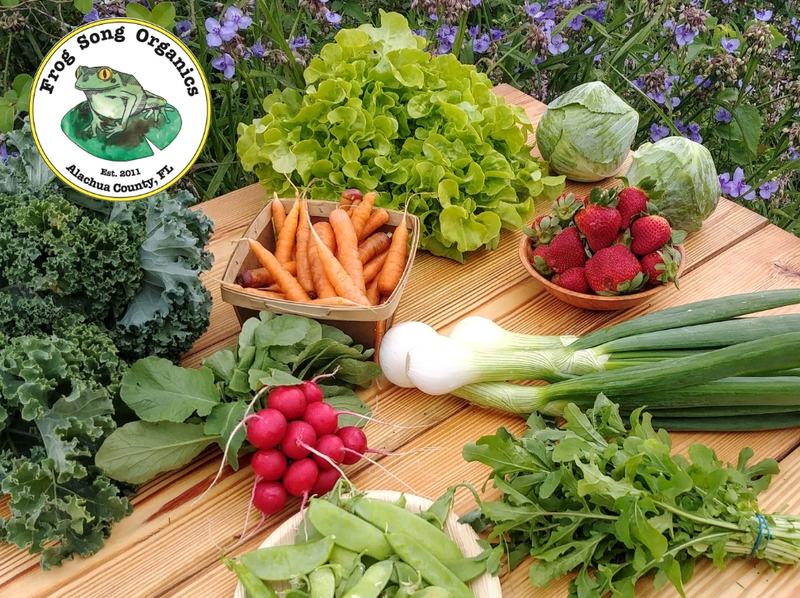 We are In the peak of our spring season and happy to bring you 10 items in your weekly share: Tender Panisse Lettuce, Sweet Onion with edible tops, Red Radish, Curly Kale, Sweet Baby Carrots, Dill, Arugula, Green Cabbage, Snow Peas, and Strawberries. I was a little concerned it wouldn’t all fit in the box but I made it work, I hope you enjoy this bountiful spring share and don’t forget to share your recipes with us by tagging @frogsongcsa on Instagram. You can also send a recipe to my email and I would be delighted to share it on our blog next time we feature the item. Garden Salad featuring tender Panisse lettuce, red radish, and snow peas tossed in a Dill Vinaigrette. In a small bowl, whisk together the vinegar and salt until the salt dissolves. Add dill, mustard and shallot and whisk to combine. Slowly drizzle in olive oil, whisking constantly, until dressing is smooth and emulsified. Pour dressing over salad and toss until all ingredients are evenly coated. Greek Tzatziki Sauce with Garlic and Dill– Thick and creamy Greek yogurt is blended with cucumbers, dill, lemon and garlic to create a healthy and addictive tzatziki sauce. 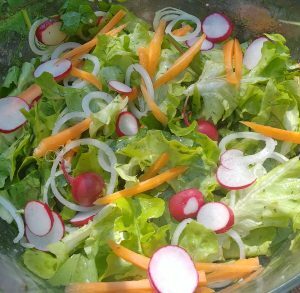 Only 5 ingredients + dressing, this simple salad is quick to assemble and makes a perfect summer side dish. 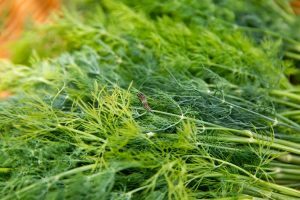 The fresh dill is my favorite part – so unexpected and flavorful. This massaged kale salad is made with juicy strawberries, toasted walnuts and nutty Parmesan cheese. Add some arugula to your salad for an added zing. Savory dish to go alongside some corned beef or roasted chicken. 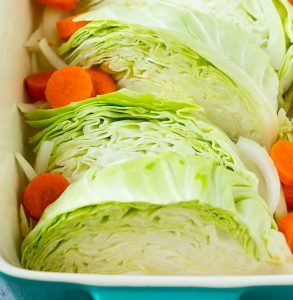 Quick and easy apple cider vinegar coleslaw with shredded green cabbage and carrots. Flavorful, healthy and mayo-free. 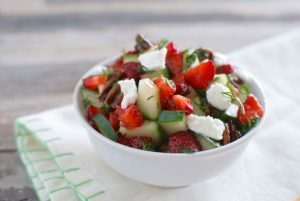 This salad is pretty low in calories, oil-free and is perfect for serving as a light and refreshing side salad or as a crunchy topping for green salads, grilled meat, fish tacos, burgers, or bbq sandwiches. 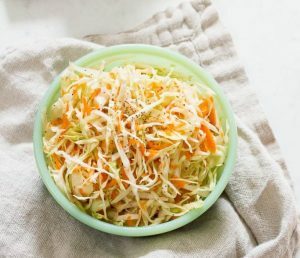 In a large bowl toss together shredded cabbage and carrots. Combine vinegar, maple syrup, dry mustard, celery seed, salt and ground pepper in a small bowl. Pour dressing over cabbage mixture and toss to coat. Let mixture sit for at least 10 minutes in the fridge, stir and serve. This recipe can be made ahead of time and will taste better after having a little time to marinate.